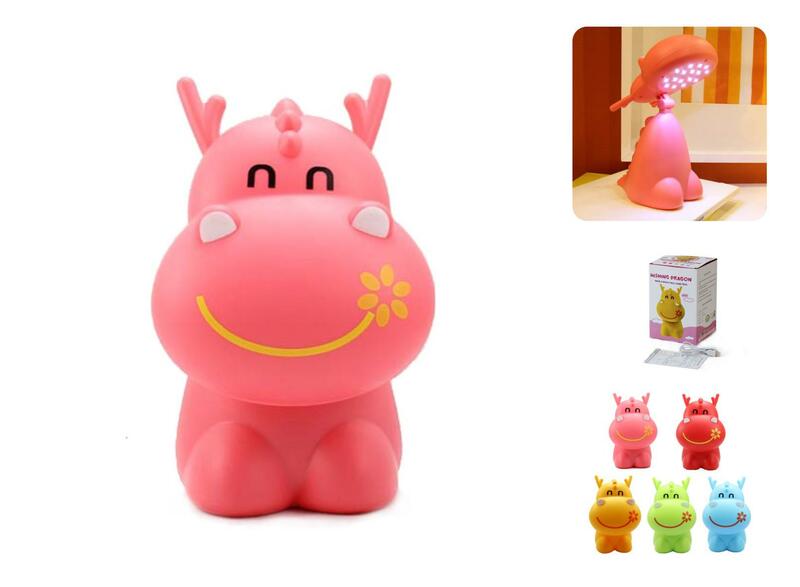 Description: Nice and cute shape;Small and portable kids desk lamps and table lamps;Low power consumption; High luminous efficiency; Low heat generation; Long lamp life;Three function is 1st push-10leds light,2nd push 16leds light,3rd push light off;Charging time is 10-12hrs and discharging time is 7-10hrs;They are suitable for home decoration and children gifts.Each packed in gift color box. Description of LED Kids desk lamp: LED kids desk lamps use extremely high efficient and bright LED as light source. It is energy saving, environment protection friendly, and beautiful.They are in different and fashionable animal type and very attractive for kids. The product color are soft and various. Desk lamps can be rechargeable by USB or power cable.There are three functions for switch on/off. It is best choice for home decoration and children gift.